Lee Elder is best remembered for becoming the first African-American to play in the Masters Tournament in 1975. 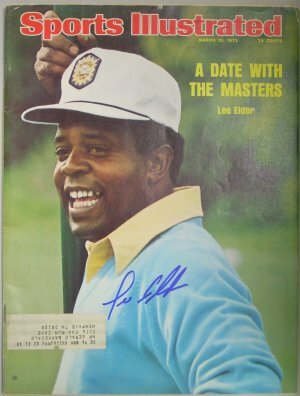 Lee Elder has hand autographed this March 10, 1975 Sports Illustrated Complete Magazine. Certificate of Authenticity from Athlon Sports. Condition is AS IS. Item is as shown.